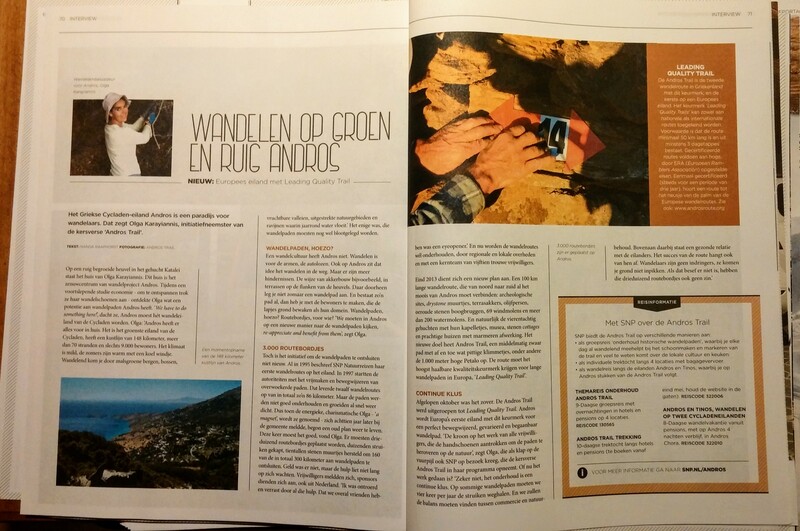 Andros Routes is featured in the Netherlands’ leading hiking magazine ! 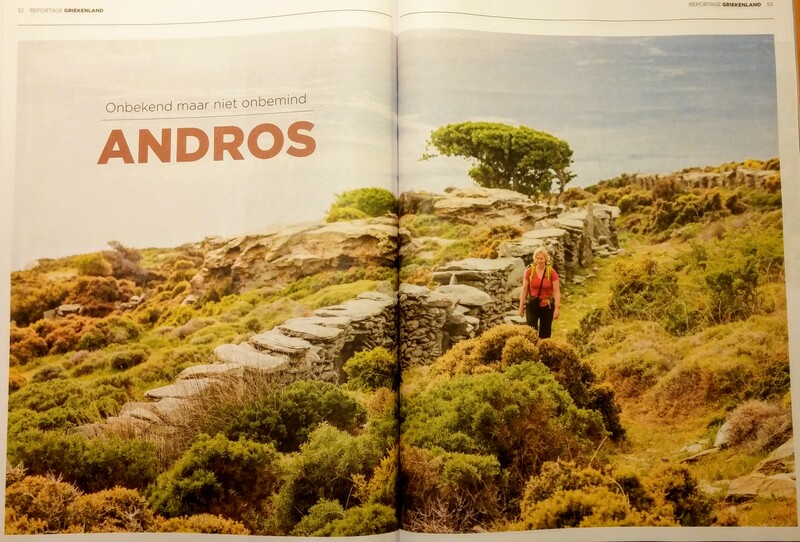 Andros was featured in a multi-page article in the December edition of the leading Dutch hiking magazine Oppad who has a readership in the Netherlands of over 90,000. 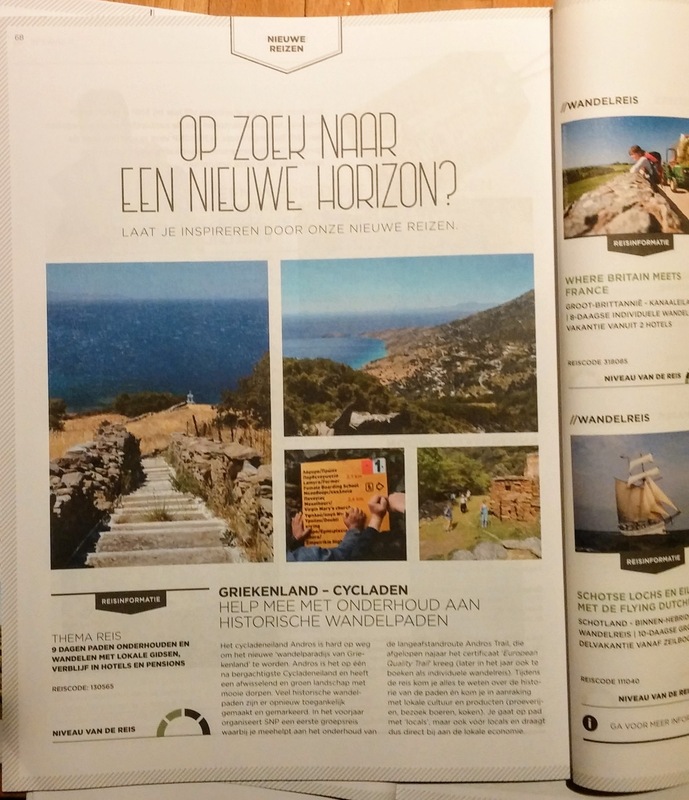 Our work to restore and signpost the ancient paths of Andros which brought us our European certification in October 2015 has born fruit by generating considerable interest from hikers in the Netherlands. 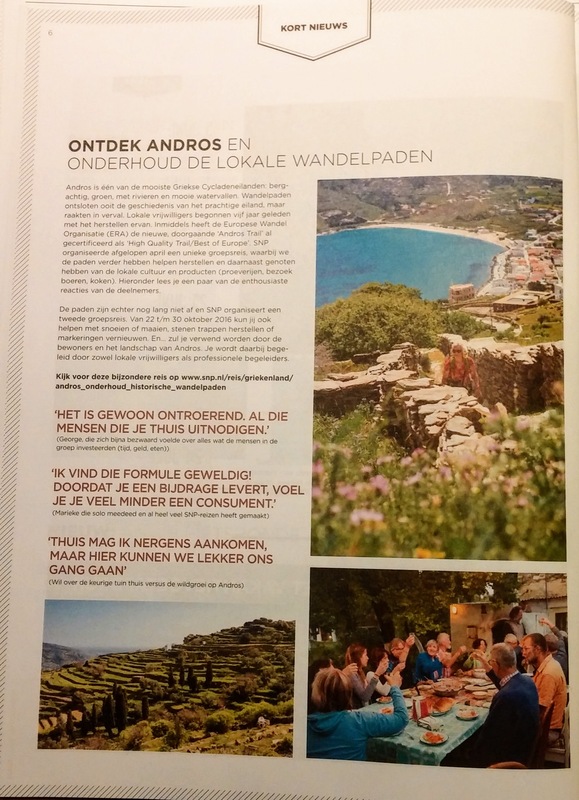 This has culminated in our partnership with SNP one of Holland’s leading hiking holiday companies who are organising both group and self guided hiking holidays on Andros including trips of volunteers who have worked with Andros Routes to restore and maintain the ancient paths. 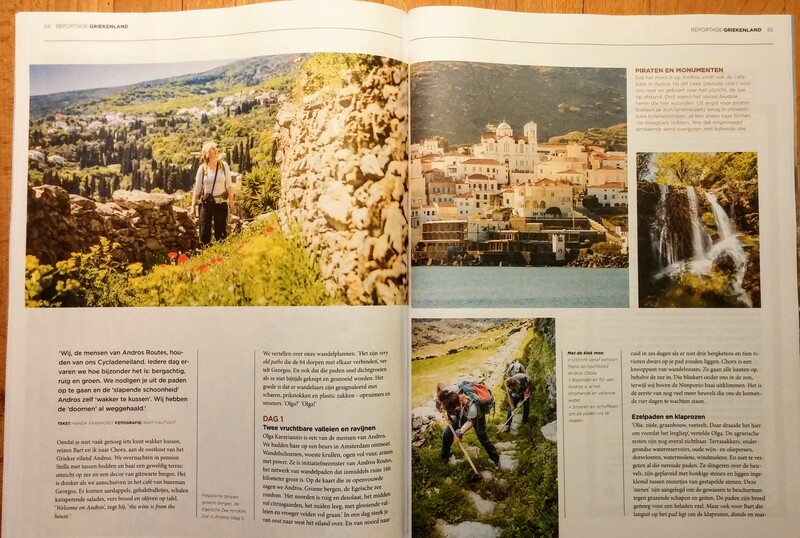 Last spring an SNP journalist and photographer visited Andros and walked most of the certified route. 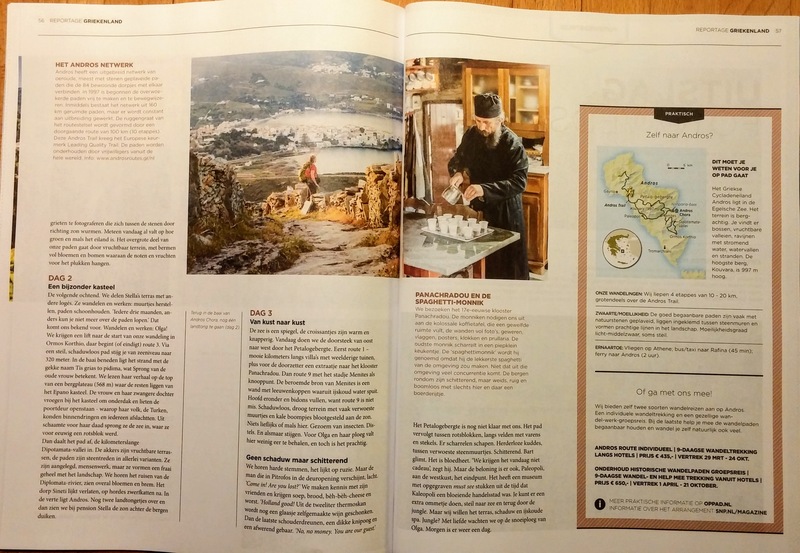 The result was the article which is available online here.